MYSTERY SOLVEDThe beautiful piece of ethnic embroidery shown in the page ‘a mystery piece…from where?’ has been identified I am pleased to say. Intrigued by the article, my computer teacher made her own search, and has come up with the answer. 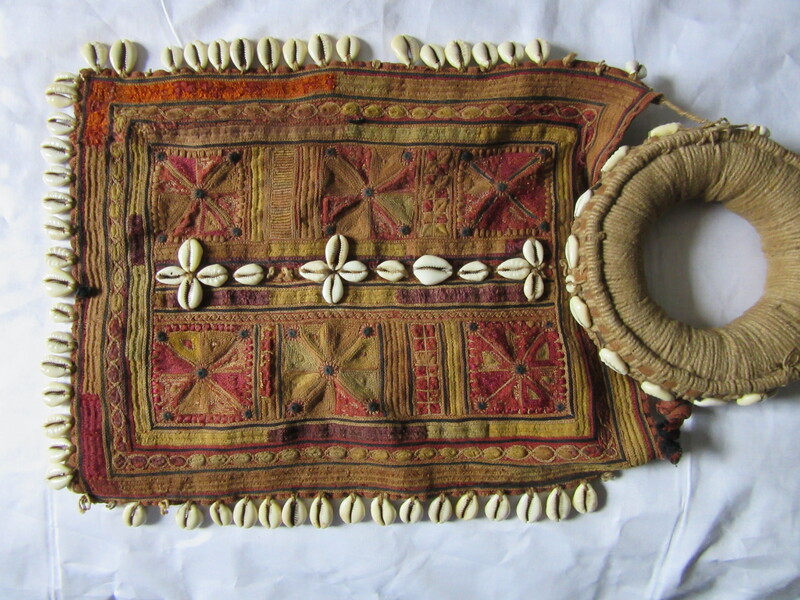 It is a traditional piece from the originally nomadic tribe in northern India called the BANJARA, and was probably made in the early twentieth century, using vegetable dyes. Settlement of the people has meant that these tribal pieces have lost their relevance, and they are often sold to traders who sell them on to the West. This piece of headcovering is known as a ‘gala’, which is usually of cotton, completely handspun and woven, then covered completely in incredibly close chainstitch embroidery. The motifs seem to be traditional…they appear on other pieces, as does the fairly random use of coloured thread .